Walking to a destination seems like an environmentally friendly and economical option that concurrently allows for additional exercise. In other words, it seems like a great alternative to driving. 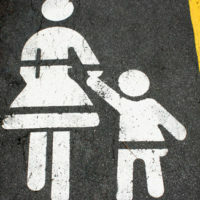 Unfortunately, a new report indicates that some pedestrians are getting more than they bargained for from their walks. According to Local 10 News, a report recently published by the Governors Highway Safety Association indicates that pedestrian deaths in 2018 were the highest that they have been in this country in three decades. While pedestrian deaths have been on the rise since 2009, the report estimates that 6,227 pedestrians were killed in motor vehicle accidents last year. Why Are There so Many Accidents Involving Pedestrians? Impairment. Using alcohol or drugs is always a bad idea before climbing behind the wheel of a car. Further, even though it may seem safer to do so prior to walking, impairment can make it more difficult for a pedestrian to be aware of surroundings and react to potential danger. Distracted driving. Whether texting, talking on the phone, applying makeup, or eating, anything that takes a driver’s attention off the road represents a threat to the safety of pedestrians, even if only for a short period of time. Nighttime walks. The new report also found that nighttime crashes have accounted for more than 90 percent of the total increase in pedestrian deaths. Factors such as visibility generally being lower at night and pedestrians being dressed in dark clothing that makes them harder to see makes this understandable. Failing to comply with safety measures for pedestrians. Any time pedestrians cross the road outside of a crosswalk or jaywalk, they are increasing the risk of an accident. The increasing number of large vehicles. While the majority of cars involved in pedestrian fatalities are still non-SUV passenger vehicles, the increasing popularity of large vehicles such as SUVs and trucks is attributed with increasing an already high chance of death. Why Can These Accidents Have Such Severe Consequences For Pedestrians? Unlike when one vehicle hits another, a person who is walking has no protection around him or her, meaning that his or her body takes the full brunt of the vehicle’s impact. Just as a smaller vehicle is at a disadvantage when involved in an accident with a larger vehicle, people are also at a disadvantage when involved in a collision with a vehicle. Have You or a Loved One Been in an Accident While Walking? Sadly, accidents involving pedestrians can lead to tragic results, but fortunately, an injured pedestrian has the legal right to sue for injuries and hold a negligent driver responsible. Contact the experienced West Palm Beach personal injury attorneys of The Pendas Law Firm today and we will help you recover the compensation you are entitled to. The Pendas Law Firm also represents clients in the Tampa, Fort Lauderdale, Orlando, Miami, Fort Myers, Daytona, Jacksonville, and Bradenton areas.